This week can be summed up by one word: change. My 11-month-old boy started to crawl, which is a both a milestone and a game changer. He is on the move; he’s attacking the baubles on the Christmas tree; he is chewing the magnets off the fridge. I had forgotten what this was like from when my daughter was the same age. There is an hour of hell between 5pm and 6pm; too late to put him to sleep for a nap, too early for bed. We used to call this ‘the bewitching hour’ but I prefer my friend Sarah’s name: ‘the bitchin’ hour’. The baby cries and nothing comforts him. It’s a mixture of exhaustion from the new tricks learnt that day, cutting back on sleep and wanting cuddles. Nothing gets done. But that doesn’t really matter. So last night, when they were tucked up in bed, the sherry got opened. It’s not conducive to a healthy lifestyle or weight loss, but it certainly helped my sanity. At 19 per cent, it gets straight to the point. But let me be clear, I am not advocating sherry as a supplement, like my fish oils and multi vitamins. At the moment, cycling is suspended – have you seen the British weather right now? We are in the middle of a ‘weather bomb’ – wind, hail, snow, rain. Here’s to the weekend; cheers. 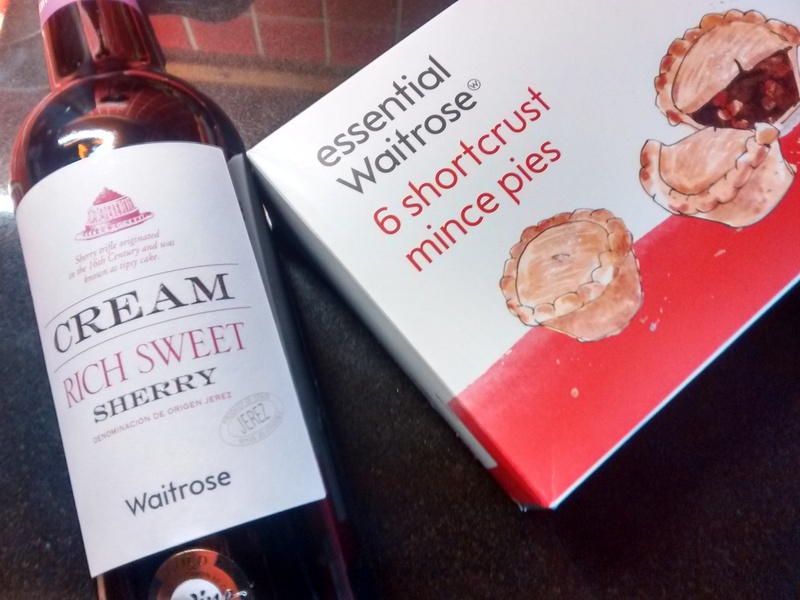 Sherry – mince pies not necessarily ‘essential’ but add as an accompaniment if feeling festive!